What attracts many to the world of online casinos is the great variety of welcome bonuses available and all casinos are competing to promote the most generous offer to entice new customers to their range of casino games. Casino Splendido gives all new players who start playing with real money an immediate bonus on their first deposit. 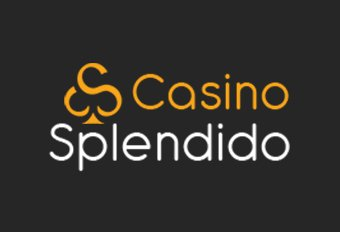 All you have to do is register with Casino Splendido and make a deposit with a minimum of €20 and you will receive a 100% bonus up to €120. There is no opting in and no bonus codes to worry about, you will find your bonus money in your balance straightway so you can start playing as soon as possible. This welcome bonus works when you use any available payment method including credit/debit cards, NETELLER and Click2Pay. So when you deposit €120 that means you have a grand total of €240 to play with in the entire casino, whether you like playing slots, roulette, blackjack or poker. Casino Splendido’s style of promotion is to continually reward those who loyally play with them. Instead of running the occasional promotion that may not suit your playing style, all players can enjoy a reward scheme and a players club that gives something back every day. With Splendido Rewards, you can start claiming loads of extras and freebies every day from when you first start playing. Check your notifications daily to find deposit bonuses and free spins to keep your casino experience fresh and interesting. Whatever your favourite casino game, there are sure to be plenty of deals that help you play to maximum enjoyment. Daily rewards not enough? Then improve the status of your membership every time you place a bet with the Casino Splendido players club. You can accumulate these points to exchange them for casino bonus at any time you like for that extra, little boost in your funds. Collect even more points and you will soon find yourself climbing up the players club level from blue, all the way up to brinze, silver and gold. The highest amount of points go to Casino Splendido’s high rollers so the more you bet the more you are rewarded. When you get to the higher levels, you can enjoy perks such as free entry to the Super Slots Tournament, previews of new games and a tailored promotional calendar. Along with their great desktop site, Casino Splendido also provides an app for Android, Apple and Windows to bring your casino experience from out of your own home and into the big wide world. There are over 50 of the site’s 500 games to choose from when playing on the go, including progressive jackpots, roulette and blackjack. As long as you have an WiFi or network connection, you can enjoy the fun of Casino Splendido wherever you are. All casino bonuses, in every online casino, are subject to terms and conditions which can affect your participation if they are not read and completely understood. Taking a few minutes to read every limitation could make all the difference between enjoying a generous offer and missing out on a great deal. Bonus money and winnings from free spins are all subject to wagering requirements, an industry standard condition that you will find in all online casinos. This means that a certain amount of money has to be wagered before any bonus will be made free for withdrawal. At Casino Splendido, the wagering requirements are set at 50x, meaning 50 times your bonus needs to be bet before you can collect your winnings. For example, if you receive €10 in bonus money, then you will have to wager €500 before withdrawing it. As it is owned by 32Red Plc, who own and operate a number of online casinos, they reserves the right to restrict players from taking advantage of welcome bonuses across the group’s brands. If you accept and claim the welcome bonus at Casino Splendido, you will be prohibited from claiming the bonus at Roxy Palace and at any other 32Red casino unless explicitly invited by email. If you are a player at a number of online casinos, it is worth seeing if being their member will restrict you at Casino Splendido. While it is a global site and Casino Splendido welcomes players from all over the world, the online casino is restricted in some territories. Our readers in Ireland are completely unrestricted in accessing the site and playing, but it is worth checking out the complete list of restricted countries if there is any doubt.